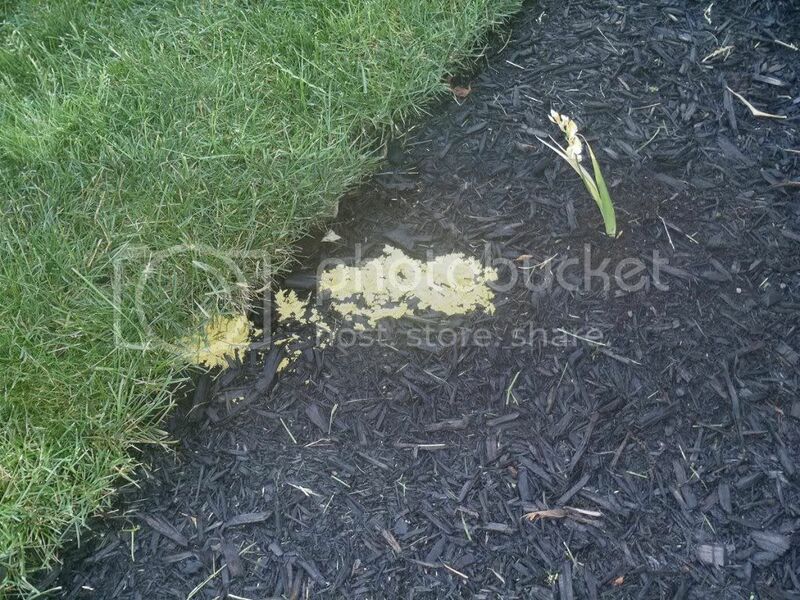 Hello, can you identify this yellow stuff in my garden? Hello, this yellow stuff just appeared in my garden today. Hopefully someone can identify it? When I had looked a couple of hours earlier, it wasn't there. I set up the sprinkler to water the garden, and let the water run for a couple of hours. When I was putting the hose away, I noticed this weird bright yellow stuff in the grass and the mulch, as you can see in the pic. Granted, the fact that it was all wet may have made it more difficult to identify. It reminded me of pollen, maybe? But, there was a lot of it there! I scooped it up with some mulch it was covering, and threw it away. It didn't seem to have an odor. Last week, I noticed something similar in my garden that was dry, only it was bright pink. This is becoming a real mystery, so hopefully someone can identify it, or even hazard an educated guess. Sorry if the pic isn't the greatest. Thanx for looking! Yup - the one you've got is most likely Fuligo septica, charmingly called Dog Vomit Slime Mold. It's nothing to be concerned about - I always welcome the appearance of slime molds as they're indicators of healthy soil ecosystems. (Mine are red).